A view of Saturn as it is approached by the Cassini spacecraft. In 1655, astronomer Christiaan Huygens discovered Titan, making it the first known moon of Saturn. 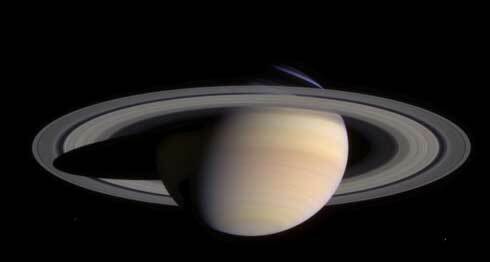 Since then another 55 Saturnian moons have been discovered. Titan is the largest moon in the solar system. Galileo first observed Saturn's rings in 1610 but did not know what they were, describing it as a triple planet.